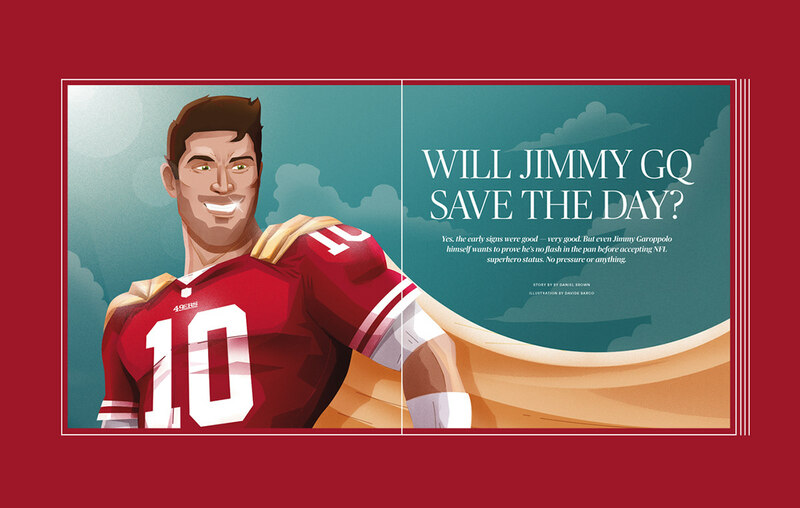 Cover and two opening illustrations for NFL KickOff a magazine of the Bay Area News. The illustrations are about the the rivalry between 49ers and Raiders. 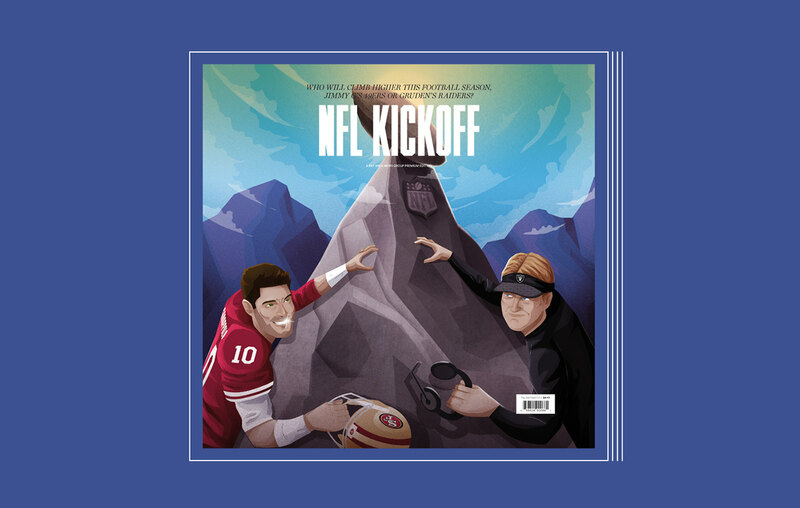 Cover and two opening illustrations for NFL KickOff a magazine of the Bay Area News. 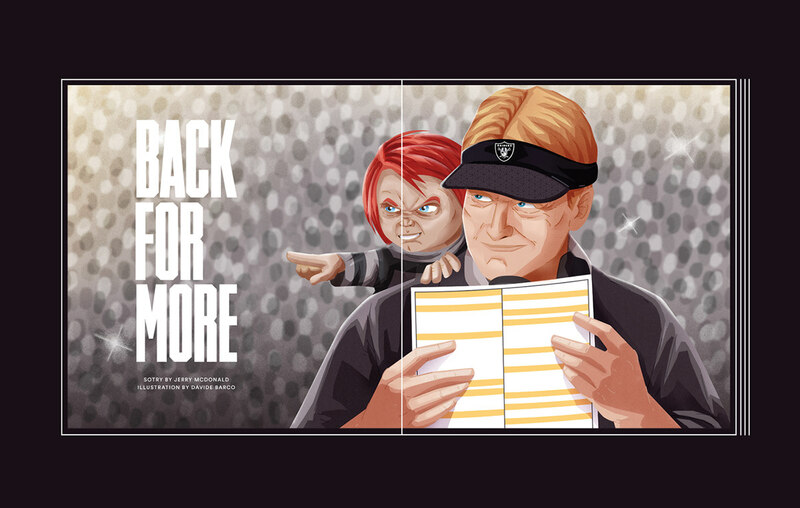 The illustrations are about the the rivalry between 49ers and Raiders.